I get asked this question periodically in either social settings or networking functions. My answer, “It depends!” It’s like asking a home builder how much it will cost them to build you a new home… it depends. Not all builders include the same services and finishes so associated costs may vary. Some build custom homes while others crank out cookie cutter homes with very little customer choices so there should be cost variables. If you call a staffing company and get an immediate answer when you ask how much does an administrative assistant cost, you should be concerned! A flat bill rate for a general job title might not get you the skills you need and could leave you feeling disappointed with your purchase. Here are the questions you should consider before calling the first listing on a Google search! WHY UTILIZE A TEMPORARY EMPLOYEE? There are a variety of reasons why companies use temporary employees that go beyond covering for employee absences (vacation, FMLA, sick leave). Special projects or seasonal work that may require an increased workload or overtime are a great opportunity to explore how a temporary employee can help. Studies show that when employees are forced to work overtime there is a greater risk of errors, fatigue, burnout, and resentment. All of which can lead to turnover and morale issues. When you factor in the cost of errors and retention issues, overtime is a very expensive way to handle an increased workload. Is your company growing or thinking of adding another position to your current staff? Not sure what the job description should look like? Utilizing a temporary employee can help you explore whether or not the workload is sustainable for a regular position before making an official decision to add to your headcount. Bringing on a temporary employee can help you get the work done while determining the actual hiring need and form the job description simultaneously. CAN I HIRE A TEMPORARY EMPLOYEE? Absolutely! If your temporary employee was a good fit for your company and you want to hire them on a regular basis, talk to your Account Manager about the options. After all, they know the job and frequently will not need training! If you mentioned this option when you initially discussed your need, then your Celebrity Staff representative should have options ready for you. Want to know more about hiring options through a recruiting and staffing company? Stay tuned and watch for my next blog on this topic! HOW IS A TEMPORARY EMPLOYEE BILLED? It’s simple. Temporary work is billed at an hourly bill rate based upon hours worked. The hourly bill rate includes the pay rate to the temporary employee along with costs every employer has with payroll: Social Security and Medicare tax, Federal Unemployment Tax (FTUA), state unemployment insurance, and liability insurance. These are the same basic, raw costs every business pays. Let’s not forget the overhead costs. Someone needs to process payroll to the employee plus the hourly bill rate covers operating costs like rent, computers, utilities, and the internal staff to recruit, screen, interview, and conduct reference checks just to have someone ready to go to work for you ASAP! HOW MUCH ARE TEMPORARY EMPLOYEES PAID? Not all roles with the same job titles need the same skills and they certainly don’t all have the same list of tasks! Your staffing company should ask you to describe a typical day and top three duties in order of importance to get a picture of the requirements for the role. In today’s competitive job market and with low unemployment rates, temporary and staffing companies must pay a competitive wage in order to retain the employee for the duration of the project. Underpaying an employee is a fast track to turnover with assigned employees, which gets you no closer to the goal of why you needed a temporary employee in the first place. If the temporary project is more than a few months, you should ask about the benefits offered by the staffing company. Celebrity Staff includes in our bill rate a comprehensive benefits package that includes company paid health insurance, dental, 401K, vacation, and paid time off. This can be a major factor in retaining a temporary employee for a more long-term project. WHY WORK WITH A NICHE STAFFING COMPANY? Having a narrow skill set specialty means a larger talent pool giving your company access to more highly skilled people vs. other competitors. Celebrity Staff specializes in administrative, management, and legal professionals. Celebrity Staff does not place a production worker, nurse or programmer. We view our clients as business partners. The more we get to know your culture, managers, and organization, the better the candidate skill match and the better the results overall. If you are a current client, THANK YOU for your business! I know you receive many calls and there are many companies to choose from, so thank you for choosing Celebrity Staff. If I didn’t persuade you to call Celebrity Staff, I hope I at least gave you some new perspective on the value of using a staffing company. Would you like to have a no pressure discussion about the needs of your company and explore if using a temporary employee makes sense? Contact me at pnorth@celebritystaff.com or call my direct line at 402.938.2010. Or you can submit a staffing request by clicking here. As the general manager of Celebrity Staff, a leading staffing and recruitment firm, Patty North has assisted organizations across a four-state region with the development and implementation of best practice strategies in the areas of talent acquisition and talent management. Her collective insight and expertise on workforce planning, garnered from her 19 years in the staffing industry, has enabled clients ranging from small businesses to Fortune 500 corporations to improve performance and gain a competitive advantage in their respective markets. 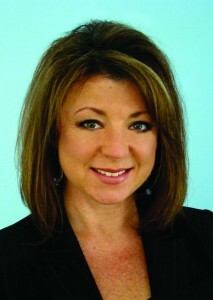 Patty has served as an Advisory Board member of ICAN (Institute for Career Advancement Needs), is a past-president of the NE Association of Family and Consumer Sciences (NAFCS), and has been a guest speaker at the University of Nebraska – Omaha on topics ranging from resume writing to interviewing. Patty has also been a guest presenter at Women’s Leadership Conference and break-out session presenter at the Nebraska State Human Resources Association annual conference. In addition, Patty is a Certified Personnel Consultant (CPC) and has her Senior Professional in Human Resources Certification (SPHR). She has a Bachelor of Science degree in Human Resources and Family Sciences. Nice post!! Thanks for sharing nice information with us.